I am starting this website with Six Kalimah and I am here below providing these (6) Kalimah Here to Read, Recite and also you can download Islamic Six Kalimas from here. 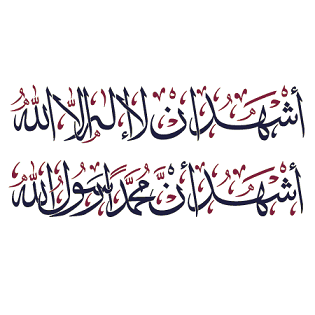 Exalted is Allah, and praise be to Allah, and there is no deity except Allah, and Allah is the Greatest. And there is no might nor power except in Allah, the Most High, the Most Great. "(There is) no god except Allah - One is He, no partners hath He. His is the Dominion, and His is the Praise. He gives life and causes death, and He is Living, who will not die, never. He of Majesty and Munificence. Within His Hand is (all) good. And He is, upon everything, Able (to exert His Will)." "I seek forgiveness from Allah, my Lord, from every sin I committed knowingly or unknowingly, secretly or openly, and I turn towards Him from the sin that I know and from the sin that I do not know. Certainly You, You (are) the knower of the hidden things and the Concealer (of) the mistakes and the Forgiver (of) the sins. And (there is) no power and no strength except from Allah, the Most High, the Most Great". Allāhumma innī aʿūḏu bika min an ušrika bika šayʾaw-wwa-anā aʿlamu bihi wa-staġfiruka limā lā aʿlamu bihi tubtu ʿanhu wa tabarra'tu mina-l-kufri wa-š-širki wa-l-kiḏhbi wa-l-ġībati wa-l-bidʿati wa-nnamīmati wa-l-fawāḥiši wa-l-buhtāni wa-l-maʿāṣī kullihā wa aslamtu wa aqūlu lā ilāha illā-llāhu Muḥammadu-r-rasūlu llāh.
" O Allah! I seek protection in You from that I should not join any partner with You and I have knowledge of it. I seek Your forgiveness from that which I do not know. I repent from it (ignorance) and I reject disbelief and joining partners with You and of falsehood and slandering and innovation in religion and tell-tales and evil deeds and the blame and the disobedience, all of them. I submit to Your will and I believe and I declare: There is none worthy of worship except Allah and Muhammad is His Messenger."